I love Bree. Her skirt is just so fun to colour . 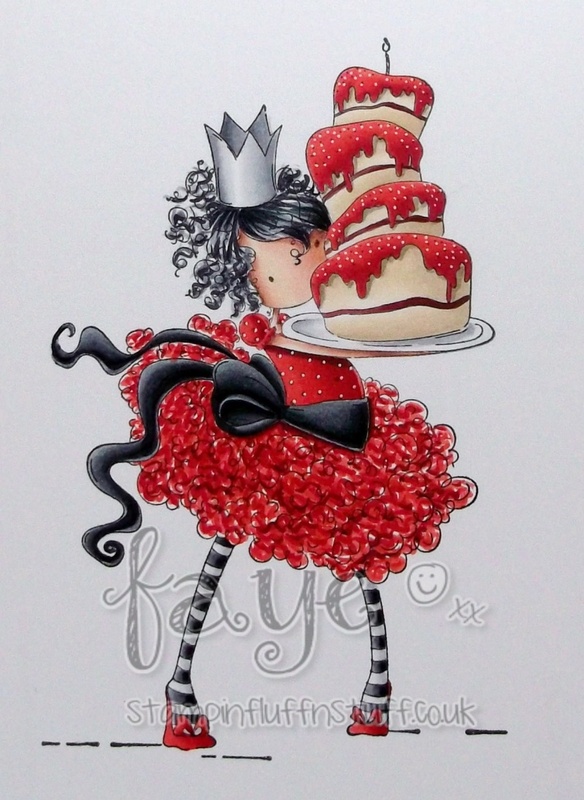 This time, I fancied giving it a froooouthy, tutuie effect. In red. Oh yeah, I had the big girl pants pulled right up to my armpits! 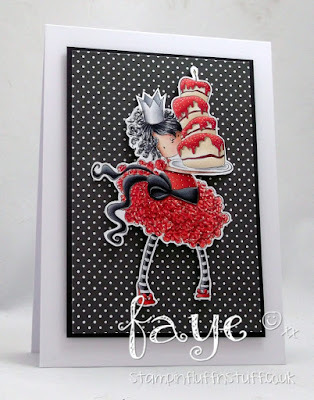 The challenge this week at Stamping Bella is Birthday Wishes/ Celebrations, so I thought Bree would be perfect for that. This is one of those cards that look nothing like the initial plan. But never mind, I loved doing it anyway. I am out teaching in Norwich this weekend. Pop in and say 'hi' if you are local to Norwich. There will be cake too! wow!! Great combo of black and red!! Great colouring!